← Please Join Us for the Christmas Tree Lighting! 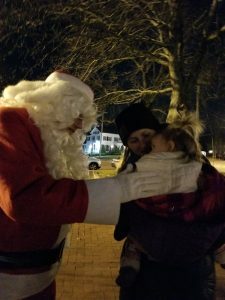 Citizens for Milford hosted the Third Annual Milford Christmas Tree Lighting Ceremony in historic Draper Memorial Park on December 2, 2017. 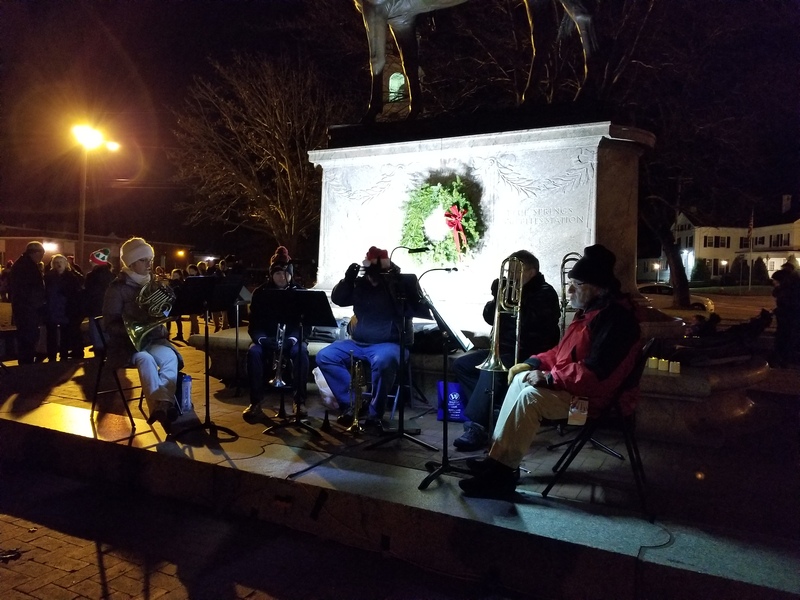 Now an annual community tradition for many of Milford’s families and residents, this year we were thrilled to once again host Santa Claus and the Claflin Hill Symphony Orchestra Brass Quintet. Long-time Milford resident Cheryl Miller led the sing-along of Christmas carols before we counted down to light the tree. 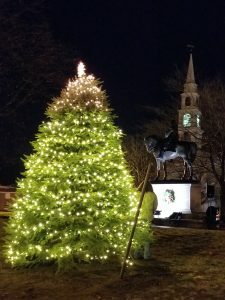 Citizens for Milford extends its sincerest appreciation to everyone who helped make the Milford Christmas Tree and the Lighting Ceremony possible. We thank the Milford Parks Department, as well as Milford resident and owner of Busy Bee Landscaping Mr. David Sanches who donated and planted a beautiful new tree that we hope will serve as a symbol of peace and goodwill to Milford citizens for generations to come. Thank you David!